Today is April 11, 2019. I’ve written this WFG review 13 months ago. I still keep myself accountable for every word I’ve said there. However, I have to say that I have not been active with WFG since March 2018. Why? While I love the financial industry this company operates in, selling and recruiting are not part of my existing skill set. I have no doubts that I could learn both skills if I wanted to. But, I figured that I have no interest in gaining these abilities. I don’t want to suppress my feelings of an unnatural for me hustler’s behavior and speak with every person I meet about their sources of income, financial stability, and Insurance. I’d rather help people with the same issues online. So, I found another place where I can help people in this and other areas of my expertise without a need to chase them. While MLM (or direct sales) is a legitimate business model, it’s not for everyone’s personalities. I happened to be not the right type for this occupation. Welcome to World Financial Group Review 2018! I’ve been observing the company for a few years now, taking baby steps in getting involved in its business. Never before I’ve trusted an MLM (multi-level-marketing or a pyramid scheme) business model. Is WFG a scam? I wrote this review to share with you the results of my personal observation and experience. In this article, you’ll find company’s overview and its history. I’ll discuss the products and services they offer, and how they can benefit you. I’ll explain why WFG is not like the most MLM businesses, and share my personal perception of the business and its associates. In this review, I will explain my opinion that WFG is legit and can be trusted. Some of my arguments would be common for any WFG office across USA and Canada, but others, perhaps, could be subjective and unique to the Massachusetts branch. 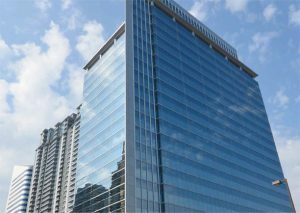 My optimism towards the company was boosted by my luck of meeting very friendly, knowledgeable and reliable associates. I’ve been first introduced to the World Financial Group 3 years ago. I met two ladies, who were WFG associates, among the guests at a private party where my son was invited to play piano music. That was soon after I lost my job as a Software Engineer. These two ladies heard of my situation and told me about a possibility to build my own financial business with WFG. I wasn’t interested. I wasn’t desperate for returning to work yet. I wanted to take a long break before I start thinking of working and earning money again. We did exchange the contact information, though. Once I didn’t have to work 40+ hours a week, I got time to look into my family financial planning, which was always on the back of my mind. I was making some contributions towards my retirement savings all my professional career, while my husband had no savings what so ever. I wasn’t completely illiterate about finances, but I felt like I could benefit from professional advice. I asked my new friends for help, and they dedicated several evenings to go over our options and best choices for planning our income at the retirement. My husband and I offered them a nice dinner, but other than that their help was free of charge. One of the financial products they introduced to us, had all the features we were asking for. Not immediately, but in about 6 months we purchased that insurance. My friends earned some commission from that sale, and I was happy that many hours of their hard work were not left unpaid. The product we purchased was complicated, and while my friends put a lot of effort to explain it to us, we kept forgetting the features, the cost, and other conditions… I wanted to have access to some learning materials where I didn’t have to take more of my friends’ time. It turned out that WFG offers financial literacy training materials. One-time fee of $100 would give me lifetime access to their in-office and online training events and repository. I paid the entrance fee and started learning. 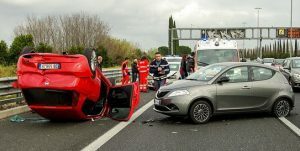 By the time I was more or less clear on what’s best for building my family’s financial stability in the future, I knew quite a lot, and there wasn’t much left to fulfill the requirements for the Life and Health Insurance Producer State exams. So, with the encouragement of my growing number of friends at the WFG, I added the missing pieces to my education, passed both exams on my first attempt with a high score, and formally became an independent insurance producer. It has been 3 years since I first met my WFG friends, and only recently I became ready to join in the WFG as its independent associate. One of my biggest concerns was the MLM structure of the company. However, today I am convinced that World Financial Group is a legitimate MLM company, and its business model is especially beneficial for its management-level associates of older age as it creates a passive income. 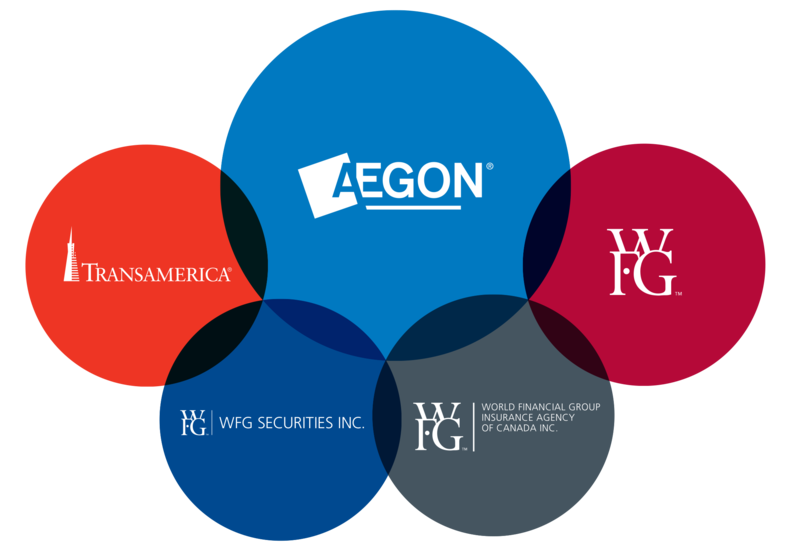 World Financial Group (WFG) consists of World Financial Group, Inc., World Financial Group Canada Inc., and their affiliated companies. 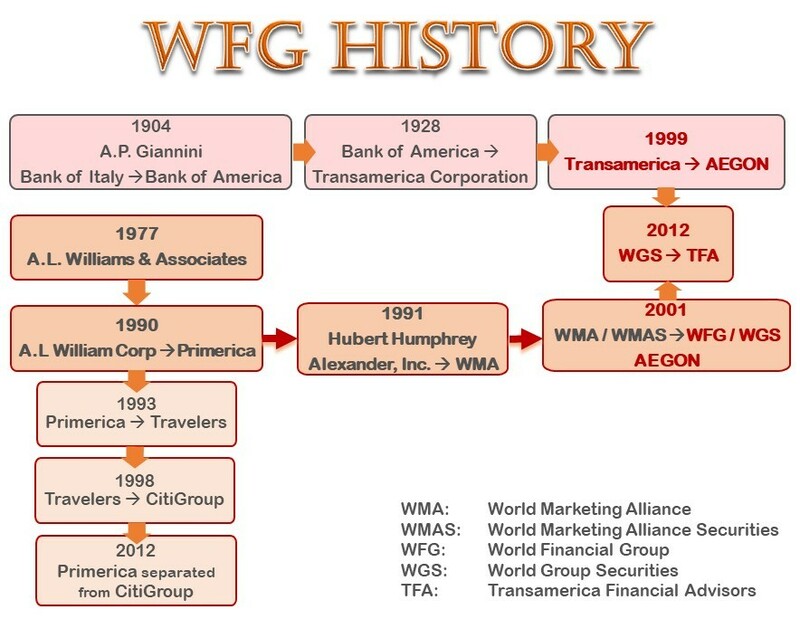 WFG is a subsidiary of Transamerica Corporation. WFG offers financial services to individuals and families across North America. Through its alliance with Transamerica, WFG is able to offer a wide array of life insurance and income protection solutions with a common purpose: to protect families and their dreams. Since WFG doesn’t believe in “one size fits all” approach, its licensed associates offer a broad range of solutions from many other well-known providers in addition to Transamerica’s products. At no cost, WFG associates teach their clients financial literacy, which helps families in planning their financial future. For people from all walks of lives, WFG provides the framework to build their own business in the financial services industry at a low startup and operating costs and a high level of support and quality training in leadership development and education in the financial industry. WFG planted its roots in 1977 when Arthur L. Williams and 85 associates founded their company A.L. Williams & Associates, which later became well-known for its controversial philosophy of “Buy Term and Invest the Difference” and Multi-Level Marketing (MLM) structure. One of the original members of the A. L. Williams organization was Hubert Humphrey. At first, without the knowledge or consent of A.L. Williams, Humphrey began to apply MLM techniques to his sales. Then, his methods were adopted and became the foundation of the organization. 1977: Arthur L. “Art” Williams Jr. founded A.L. Williams & Associates – an insurance and financial services company that uses multi-level marketing. 1990: A private company A. L. Williams & Associates was merged with Primerica and renamed Primerica Financial Services. 1991: Hubert Humphrey left Primerica Financial Services and created Alexander, Inc., which shortly thereafter was renamed World Marketing Alliance, Inc. (WMA) Humphrey left behind “Buy Term and Invest the Difference” idea and focused on Variable Universal Life (VUL) insurance as a solution for baby boomers to better address wealth creation and tax protection need. 2001: Select assets of WMA were purchased by AEGON and renamed World Financial Group, Inc. World Group Securities (WGS) was incorporated in order to replace World Marketing Alliance Securities (WMAS) as servicing broker-dealer. 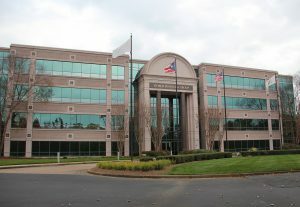 Humphrey retained WMA Mortgage Services, which became the foundation for World Leadership Group. As part of the conditions of sale, Humphrey signed an agreement to not compete in the insurance industry until 2013. WFG enables families to make better financial decisions by helping them learn key concepts. The complimentary Financial Needs Analysis (FNA) is offered by your licensed WFG associate to help you identify the core components of your financial health. 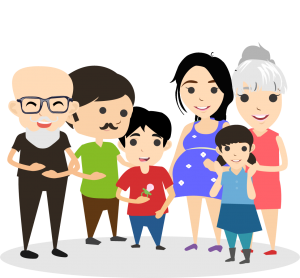 A broad array of Life Insurance policies, including pure protection (Term Life Insurance), and various types of policies accumulating cash value. When the cash value becomes sufficient, the last group allows you to access the policy value through policy loans or withdrawals. This type of insurance can help with out-of-pocket medical and non-medical cost when a catastrophic illness such as cancer strikes you or your loved one. If you couldn’t work due to an accident or illness for an extended period, disability insurance can cover you even after your employer’s coverage has ended. Not only it provides income while you are unable to work, but it also helps to keep your existing saving and investments intact. In the later part of a person’s life, one may require a Long-Term Care. 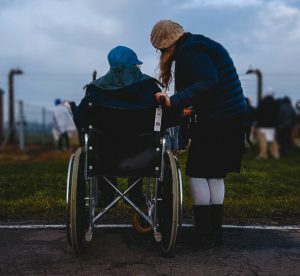 But in some unfortunate cases, the need may arise even earlier: serious illnesses such as Parkinson’s, stroke or heart attack may also cause the need for such services. Debtmerica and its sister company, Optima Tax Relief, provide Debt and Tax Resolution Programs. WFG and Debtmerica have partnered to help families achieve their financial freedom. Debtmerica has a dedicated team of trainers and consultants to support WFG Associates and offices. In Canada, segregated funds are investment policies that provide guarantees on the initial investment at maturity or upon the death of the account holder. 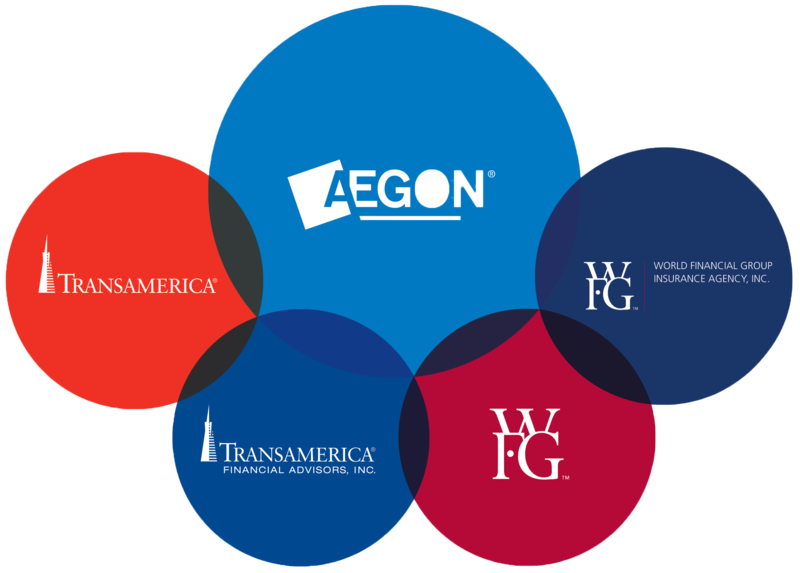 They are managed professionally and offer a wide array of investment portfolios to choose from. These policies may protect your funds from creditors. A range of products is available to the small business owners. A licensed WFG associate can offer insurance solutions to cover the owner, the employees and to ensure the future security of the business. Here is an incomplete list of available solutions. Your WFG associate will have a full list and all the details. In Canada, products and services listed above in “Group Insurance” are also available to help reward and retain personnel. 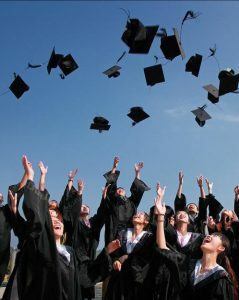 In the United States, 529 College Savings Plans can be utilized. WFG helps entrepreneurs to quickly and efficiently start and build their own financial services organizations with minimal initial capital. WFG guides the process step-by-step and provides mentoring and all required business tools. As I mentioned at the beginning of this article, MLM business model of WFG was my strongest argument against joining the company. I carefully researched all the pros and cons of MLM businesses. Below, I am going to share with you the results of my investigation and my conclusions. Please note that at the time of writing this review, I only paid to WFG $100.00 membership fee, which covers my background check, WFG internal study materials and other administrative expenses. I paid it with an attitude that it goes towards my personal financial education with the company. The value I received back has already outgrown the price several times. I can’t be blamed for “defending my investment”. What does MLM mean for a client? If your goals are to learn financial literacy or pursue further financial education and/ or purchase products that best fit your and your family needs, then you become WFG client. MLM business structure of the company should not be your concern because it does not affect clients in any negative way. The positive outcome of working with WFG associate is that while you are working with one knowledgeable and properly licensed individual (I am raising my hand – I hope you’ll choose me, Julia! 🙂 ), there is a whole team of professionals standing behind the back of this individual. In our Massachusetts office, each team feels like an extended family, and all teams together – like a group of warm friends. I believe that clients get this feeling in any WFG branch because WFG philosophy is that their main purpose is to help clients and each other, and they are financially motivated in doing so. Should your associate need help in answering your question, the team will come to the rescue. Should your associate move away, retire, get sick or die, another team member will take over your support. Most likely, you’ll get to know a few other team members soon after becoming a WFG client. What does MLM mean for a business partner? 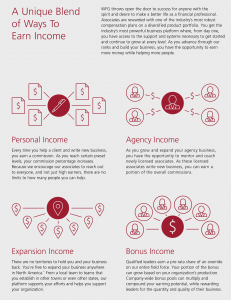 If your goal is to become an Independent Insurance Producer and WFG associate, then you’ll become a business partner to the member who referred you (me – Julia, if you use this opportunity) and to the whole team in my branch or my recommended branch if you are in another state of the US or in Canada. WFG is NOT a SCAM. If you are considering a possibility of becoming a partner, please >>read this article<< to find out how to distinguish between a scam and a legit MLM business. World Financial Group is a legitimate business. It can be trusted. Working with WFG has its pros and cons. I don’t suggest that this work is for everybody. I’ll go over all the details and you decide for yourself whether this is something you’d like to do. First, let’s look into why I am telling you that World Financial Group is a legitimate MLM business. ~ WFG sells a variety of quality products. In the United States, Insurance products are strictly regulated by the State law, and market investment products require FINRA licenses and regulated by the Federal law. WFG acts in compliance with all Federal and State regulations, its associates are properly licensed. ~ Prices of the products sold by WFG associates are the same as prices of the same products sold by other distributors. 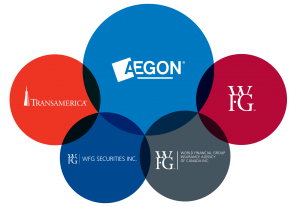 ~ WFG members and partners are NOT obligated to buy any of Transamerica or any other financial products offered by the company for its clients. ~ Multi-level structure of distribution of the earned commission is clearly defined and documented. It is available to every member at any point of time. ~ After initial $100.00 membership fee, WFG associate never pays anything to the organization out of pocket. ~ WFG never promises its potential partner an easy work and/or quick money. The team always makes clear to the freshly joining members that selling insurance is a hard work; it requires evenings and weekend time because most potential clients work during the business hours. At the same time, while you have to coordinate your meeting time with your clients and be flexible to accommodate their needs, your word is still the last one – so, you can make the meeting more or less convenient for yourself. ~ Once licensed, there are no obligations to WFG. You just got yourself another professional occupation. You are more than welcomed to stay with your team and work as a WFG associate, but you don’t have to. There are multiple opportunities to work as an independent Insurance Producer and be appointed by companies other than Transamerica. Your steps in becoming an Insurance Agent and WFG business partner. Contact me, Julia, to become a member. I will connect you with an associate in your local WFG office. I will always be your helper. Should any issues arise, I’ll be covering your back. For Massachusetts partners, I and my “upline” mentors will be your direct supporters and mentors. Start learning finances, products available on the market and business partners strategy by attending seminars in your local WFG office, participating in online webinars and learning independently at your own pace using WFG archives of the financial literacy training materials. In the US, prepare yourself for the Life and Health Insurance State Exams. In Canada, complete the Life Licence Qualification Program (LLQP) pre­licensing course. Congratulations! You are now officially my business partner and a WFG associate! You’d still need to make several sales in a field together with me or other WFG associate. But as soon as you feel comfortable, you can start selling life or long-term care insurance on your own. You start as a Training Associate at a 25% contract level. Associate contract level is 35%. Marketing Director (MD) is the first level of management. Contract level is 50%. Annual income is $60,000 – $100,000. Requirements for promotion are 10 associates in your team, 6 of whom must be life licensed, 3 branches of personal recruits (legs), one of which must be MD level, 75,000 net points within 3 months rolling time. Also, there must be $35,000 cash flow within 12 rolling months or $20,000 – within 6 rolling months. Senior Marketing Director (SMD) contract level is 65%. Annual income is $100,000 – $240,000. The requirements to move on to the executive management are as follows: 3 direct recruits – all SMDs and either 500,000 net points in 6 rolling months or 750,000 net points in 12 rolling months. Executive Marketing Director (EMD): Annual income is $250,000 – $500,000. What I like the best about WFG and group of people I’ve met is that there is no pressure. They do remind and encourage you to make the next step, but they don’t do it in an aggressive and pushy manner. There is no time constraint on anything. You can be a member for several years without making the next step. You can participate in many company’s events and learn, or you may lie low and do nothing until you feel like you are ready. Low non-recurring membership enrollment fee. The financial literacy you achieve at WFG empowers you with the knowledgeable approach to building your own financial future. Great variety of high-quality financial products to meet financial needs of every family. Ability to create your own business at a low starting cost in a rewarding field of helping individuals and families to plan their financial security by educating them and offering financial solutions. With WFG you’d be able to build a business of your own, but not on your own. You have strong supporters “upline” because aside from human kindness and team partnership, they have a mercantile interest in your success: in order for them to move up to the next level, they need to bring you up first. Another benefit of starting your business with WFG is that you don’t have a sales quota like most other insurance companies set for their agents as a requirement. WFG offers great rewards in the promotion when you make more sales and recruit more partners. Such rewards serve as monetary encouragement for growing your business faster. However, if you’d like to have some supplemental income to your other earnings and move with your comfortable pace, that is totally fine too. You can work as much or as little as you want, create your own schedule and love your boss. And now, the most important benefit of being WFG associate… Are you ready? Drum-roll, please!!! YES, IT’S THE PASSIVE INCOME. Today, you work very hard to move up in the hierarchy of MLM levels. Tomorrow, when you decide to retire, the team you’ve created will still be there – working and growing. 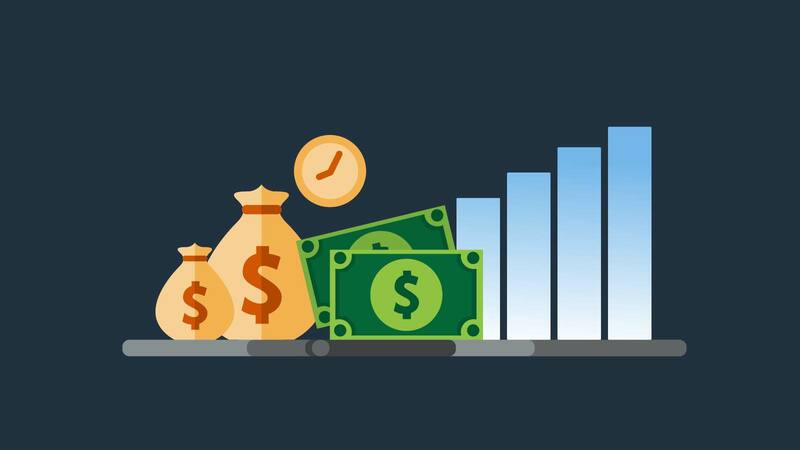 Perhaps, you won’t earn as much as you used to while you were active, but your passive stream could be a very good addition to your retirement income. 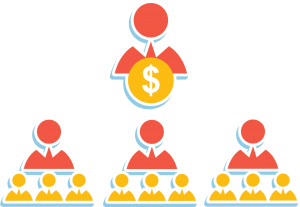 Of course, the sharing of your earned sales commission doesn’t feel fair when you are at the bottom level. But, remember that without this option, there wouldn’t be a passive income in the future. And if you think about a corporate world: isn’t it the same there? When you are a junior employee, recently hired, you earn the most modest salary while making rich all those above you in the seniority and management lines? From my personal point of view, the most negative aspect and absolutely unacceptable to my nature is that WFG associate must advertise his/her business non-stop, everywhere, every time, to family members, friends and everyone (s)he meets. If you think about it, this quality is not exclusive to WFG: every insurance agent or a salesperson, who is on commission or runs his own business, must do so in order to find more clients and broaden their sales. There are many people whose personalities naturally fit the need, and they don’t perceive as annoying to others. I CANNOT DO THIS. I DO NOT WANT TO DO THIS. I want to enjoy my leisure time. I want to enjoy my friends and family, and I want them to enjoy my company. I don’t want to annoy them. I love helping others. I love teaching what I know well. But, I have no desire to seek people who need my help in their financial decisionmaking. Seeking means asking everybody until I come across the one who is actually interested. No, definitely not my call!That’s the reason I didn’t become an active associate up until now. What has changed? Why am I more open to doing it now? Because I joined another company – Wealthy Affiliate, which taught me how to market my business online. In this review, I am sharing my expertise with the whole world. It’s up to my visitor – you – to decide whether you are interested or not. If you read this far – you must be interested and will contact me. Otherwise, you’d just leave after reading headers – no offense from either side. By the way, if your personalities are like mine, I can also explain to you what is involved in Internet Marketing, help you create your own website or even manage one for you. The balance in training between actual financial literacy, financial solutions and recruiting strategies is often leaning towards the last one. Please remember that while facts in this review are solid and verified, all subjective moments are certainly based on my personal opinion. Since I’ve been more interested in the financial education than in hiring tactics, this disbalance in training might be nothing more than my imagination. Business dress code in the office and in a field while meeting with clients. And again, this is my personal view. I am a business-casual dress type person. Suits feel uncomfortable to me. I believe that professional appearance doesn’t always require a suit jacket. My Conclusion: two platforms together create one perfect solution. After 3 years of observing WFG and fighting with my own prejudice about MLMs as a business model, I am confident that World Financial Group is not a scam. I didn’t change my mind on a tendency for MLMs to be a scam, but exceptions do exist. World Financial Group is a legitimate business. If everything you read so far about the company, fits one or more of your interests, then I encourage you to join in as a member, become a client, or simply get your free personal financial planning advice. You don’t need to be a member in order to request one-on-one personal or online meeting and receive a free analysis of your financial situation with an advice for improvement and better planning for the future. As I explained earlier, my biggest problem with the commission-based sales face-to-face is to find the interested “face”. Since I don’t want to hustle everybody in my surroundings, I believe that I could spread the information via Internet Marketing. In my opinion, collaboration with both Wealthy Affiliate (WA) and World Financial Group (WFG) can generate the best result. These are my two recommended solutions for starting your own business; they should complement each other. Using WA platform, I promote WFG. At the same time, WA helps me create yet another stream of income, including passive income in the future. Additional disclaimer: at the time of writing this review, I’ve been watching WFG for almost 3 years, paid one-time $100.00 membership fee, attended several seminars and webinars, purchased a Transamerica financial product (became a client), made friends at WFG, passed Life and Health Insurance Producer Massachusetts State examination. But, I have NOT been working for or with WFG, have not been appointed by Transamerica, did not receive any money from WFG or Transamerica, and I don’t represent either company in this review. While my participation in several WFG meetings allows me to make a judgment of the validity of the public materials I googled and used in this review, I haven’t used any knowledge or documentation from the password-protected WFG portal. At this time, I invite you to contact me and together start our business with WFG using my established connections with licensed WFG associates and management. If you click this button above, you can send me a private message via email. However, if you prefer to comment or ask a public question, please use the “Comment” area below. Thank you! You’ve provided a very thorough review of WFG. I have been curious about the company myself as I listen to Ed Mylett’s podcast and have heard the company mentioned a few times. Although I am not a fan of MLMs, I do not believe that they are all scams. It seems that WFG provides a lot of value with their products and services. Anyone who is interested in this company will definitely find value from your review. Thanks for sharing your experience! Thank you very much for your feedback. I am glad that you found this review thorough and believe that it’ll help people in their decision-making if they are considering WFG in any aspect. 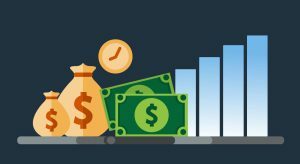 I found LiveWealthyRetirement.com with a goal to help people find financial freedom at the retirement, or even retire early. Any career, including MLM, requires a lot of work during the first years. However, not every business continues to bring income after you can’t actively participate in it any longer. In MLM model, your hard work in the beginning, is rewarded later by passive income coming your way in the form of commission from sales in the team you created. I don’t think that everyone will be making enough for the full retirement income, but it’ll make a good contribution to the diverse income streams, which we create when planning our retirement. Another one of many retirement income streams could come from a financial product purchased from WFG. With the focus on supplemental income at the retirement, I think financial MLM company such as WFG could be a very good choice for both clients and participants. Thank you again for taking the time to read this review and for your comment. It is refreshing to hear someone promote a company they are involved in with practical experience. I would agree if you have had a good experience and have researched the offer to ensure credibility then you can move forward with confidence. Most of us need financial advice even if it is only to keep up to date with the latest developments in the financial sector. Having been involved with an MLM that delivered a very satisfactory outcome I am not anti-MLM model rather one who advocate due diligence. You have explained World Finacial Group really well, thank you for this excellent post. I was building my trust to the company very slowly, one step at the time. By the time I met WFG people, I’ve already overcome my negativity towards MLMs in general. As I explained in the post explaining the difference between MLM and a Pyramid Scheme, it was acceptable for me to evaluate and perhaps purchase their product and become their client. However, I was not in the stage when I would consider becoming their partner. These people, however, showed themselves as very knowledgeable and responsible professionals – more responsible than any other financial advisors and brokers I’ve worked with in the past. Their work is really rewarding. I’d enjoy doing a big part of what they do – that is helping others to analyze their financial needs, explain their options and offer best fitting products. I hope that those who need my help and advice will contact me and let me know. Once again, thank you for your visit and comment. I am glad that you found my review comprehensive and detailed. Thank you for writing this article. I do not live in America so I had never heard of World Financial Group before. What an interesting concept, to pay only $100 and then be well on your way to be offering financial and insurance advice to people. Different countries sure have different rules and regulations regarding these sorts of things. I am happy that I read about a different finance model in a different country. It was interesting. I Don’t feel that I am qualified to talk about the specifics of financial literacy that you mentioned here. There are VERY strict rules around the qualifications and regulations that you have to have in order to offer financial advice or insurance advice in my country. Thank you for sharing. Actually, for $100.00 we only have access to financial education. We can’t educate others. We are not allowed to give any kind of a financial advice. The rules are also strict in North America. I learned finances with WFG for myself – to better handle my own family financial planning. I learned a lot, and then I passed the Massachusetts State Exams for Life and Health Insurance Producer. I paid another $50.00 for my exams to the state of Massachusetts (not to WFG). I also recently paid for my license, but none of this money benefits WFG. However, I am still not actively working as an agent, and my disclaimers there state that I am not giving any legal financial advice. What I do offer is to contact me in person, join WFG, learn financial literacy and financial products from the senior (and all licensed!) team members. I am sorry if my article was misleading. I hope this resolves the confusion. I’ll have to re-read and edit this post again if it makes people believe that for $100.00 we become financial advisers. What about Don Iley from Denver? He had 2 prior embezzlements, and he was with WFG over a dozen years. Maybe you should give your readers a balanced unbiased view if you wish to help them. Thank you for your comment. I shared my view with my readers as objectively as I possibly could since it was based on my personal experience and personal involvement with the company. In my article, I showed that WFG is a legitimate business, and the people I’ve met and worked with were very empathetic and utilizing great business ethics. I’ve never heard of Don Iley from Denver, and since you’ve mentioned his name, I Googled it. My search didn’t return any results on this name in connection to WFG. The closest match I found was on Don Richard Iley of Parker, Colorado who was a business owner of an Iley & Associates accounting firm and was charged with stealing millions of dollars from his small business clients. If there is something we all should know, please share more info. I am inviting my readers to join my team and wonderful people in my upline. Even if someone in Colorado, who was with WFG for years, committed fraud, it doesn’t mean that the entire company is a scam, does it? Or, let me please hear more from you about Don Iley and how influential he was at WFG. Thank you again for taking the time to comment on my post. I can share my own experiences. He recruited me to be an agent for WFG/Transamerica Financial Advisors. He was a top producer in the Denver office more than 10 years. You can find his picture on the stage receiving the award at the WFG convention. The guy was a con artist and WFG forced me to work with him. He was my recruiter and every single question I had was deflected back to him from the direction of the headquarters, and the front manager, the CEO, and the upper-level management. We know he was a con man because the proof is in the pudding. 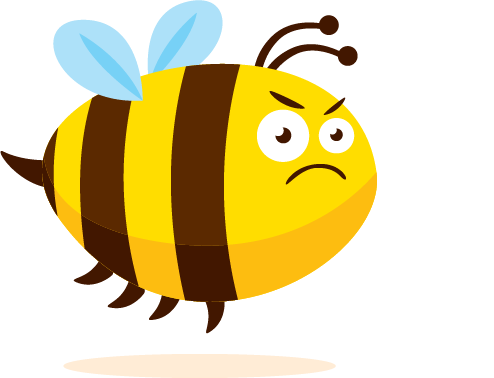 He had 2 prior stipulations with Dora that went unreported on brokercheck.org yet later the firm reported a story of a customer complaint that led to his termination. Finally, 10 million dollars is still missing the money he stole, and it was widely reported that it was placed in pensions. So now you can explain to your readers how to place millions in pensions via WFG simply by using the line of authority granted to them and the firm is oblivious to where the money came from. or in Canada through the local connections. An interstate team is also a possibility. Canadians would have to join an office in their country, but we do have connections and offer recommendations. Your comment will stay here under my article – so, that my readers could read your story and take in consideration that there is always a possibility of meeting dishonest people (within WFG and anywhere else). I don’t take the blame on myself for what Don Iley did. You wrote that he is no longer with the company. Then, he personally is no longer a threat. I am very happy with the service and training I received from WFG team in our Lexington, Massachusetts office. I’ve purchased Transamerica’s product, was thoroughly walked through all its pros and cons, and am happy with its conditions and current and future benefits. Thank you again for the warning. However, I still feel that my potential clients and/or future associates are safe with WFG and the team I am in. I agree you explained many things right but between the lines, something is not true! You will pay ( $100) for your initial fees + $ 268 for your life insurance license + more fees when you pointed with the providers & they will keep pausing you as a requirement to be in this and that event for training paid from ( $20 to $1000) depending if that need you to travel to another state or city, It’s your business so you need to pay for everything, your car gas, you need special clothes for each event, you need to pay for event ticket not less than ( $175) a person, pay for your hotel and food …..etc. not less that 3 days /nights! Furthermore, if you dream to grow this business, you have to have at least 3-5 Solid family relationship to start with them your (10 KTP) training, also you have to keep marketing/declaration about your business by the social media which some of them cost you monthly payment, you have to call people by resume or so (that’s mean you need to buy a lot of resumes) can cost you $300- $1000, and if you would like to create your own BLOG, that can cost you more. In the end, I would say that it can cost you more money – not only $100. This is normal with any business and it means that you need to invest your money between $100 – $1000 monthly. With the training and growing, it can take you a couple of months to make probably your first $1000 or less! You need to grow so you need to invest more and after a couple of years or just one year if you have a great warm market or if you can put at least 10 hrs. everyday (no weekend and no family time – that business can fit for a single person or for men, but not women with a family…) You can probably make $2000 – $5000 a month, and from that level, you reached after one or more year, you will grow up faster & make more monthly/yearly income. Again, that depends on how much money and hours you put in and whether your team members continue with you and don’t quit. So, if you read what Julia said + my comment and you feel you can do it, so go and fly! Thank you so much for your input! It’s invaluable! My article is a review of the company, and I was trying to show that WFG is a legitimate business. My review is very honest and open – there is nothing “not true” even between the lines. In “What does MLM mean for a business partner?” chapter I wrote: “~ WFG never promises its potential partner an easy work and/or quick money. The team always makes clear to the freshly joining members that selling insurance is hard work; it requires evenings and weekend time because most potential clients work during the business hours.” You confirm this in your comment, thank you. All these other expenses, which you mentioned in your comment and I listed in my article, do not go to WFG; the company doesn’t make any profit from an associate’s license cost or his/her marketing expense. It sounds like you’ve done even more personal work with WFG than I have, and I take your comment as personal encouragement to continue on an be more active in that business. Thank you very much for your insights! I wish you great success in all you do, much love and strong health!